It looks like the price, after completing zigzag pattern in wave , has formed an initial descending impulse. At the moment the local correction is taking place, and after it is finished the price may continue falling down. 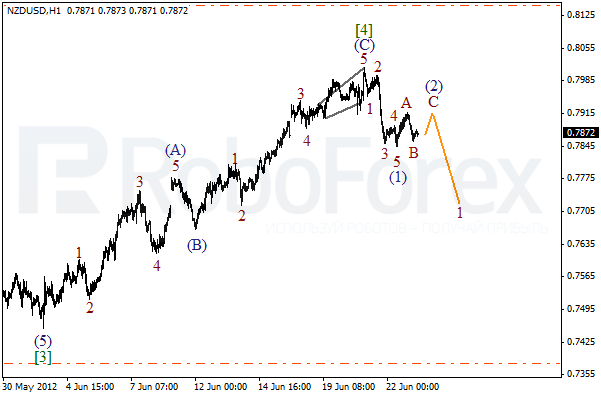 The target for the bears is the level of 0.7400. If we take a look at more detailed wave structure, which is shown on the H1 chart, we can see that the fourth wave has been completed in the form of diagonal triangle pattern in wave 5 of (C). 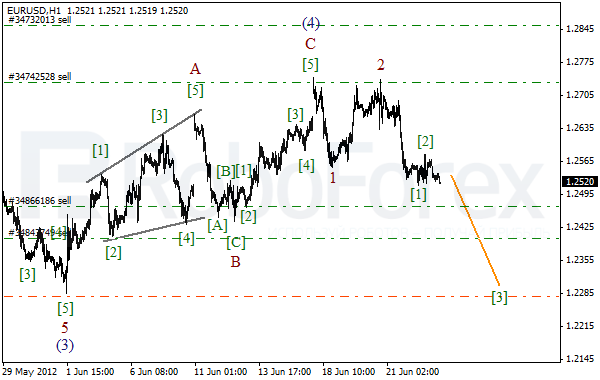 At the moment the price is forming zigzag pattern in wave (2) with wave C inside it. The market may grow up a bit during the day, but after that the price may start moving downwards again. 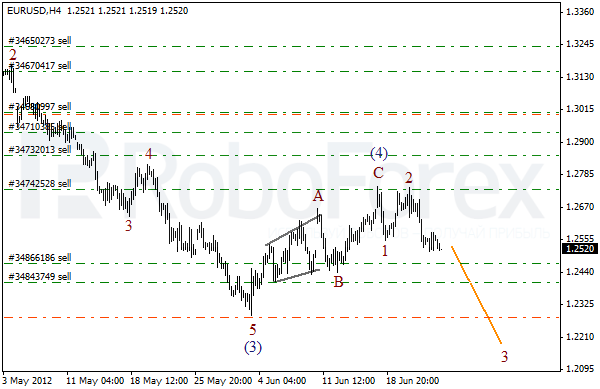 At the H4 chart we can see that wave (4) has been already completed and the price has finished an initial descending impulse in wave 1. 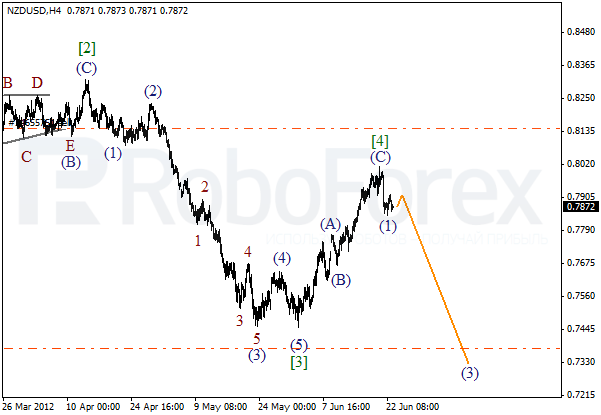 After the local correction, which was as long as the first wave, Euro started forming the third one. The price may continue falling down during the week. The target is still at the level of 1.2000. As we can see at the H1 chart, the price has completed two descending impulses at a time. Currently the market is moving inside wave  and then it’s going to form the third one. The bears may reach a new local minimum within the next several weeks.